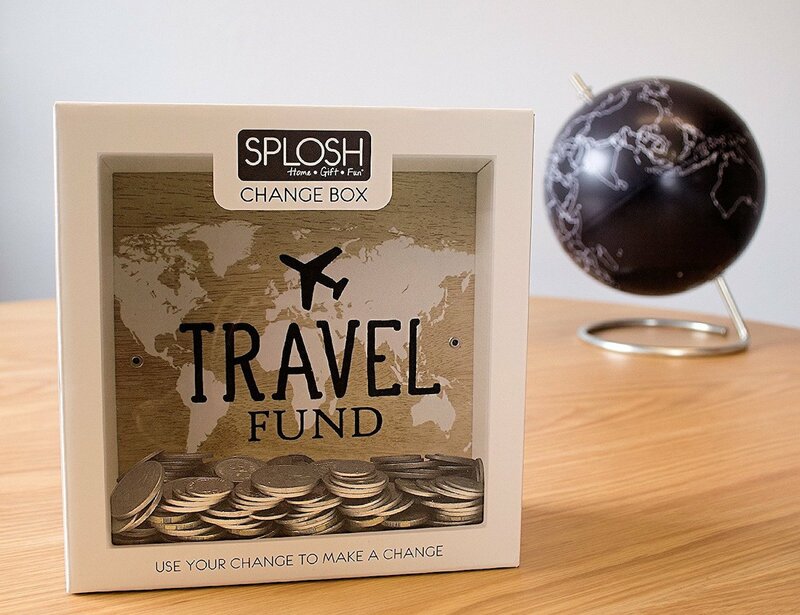 Build up your savings for your next adventure with the Spolsh Travel Fund Change Box, featuring a clear glass panel in the front. 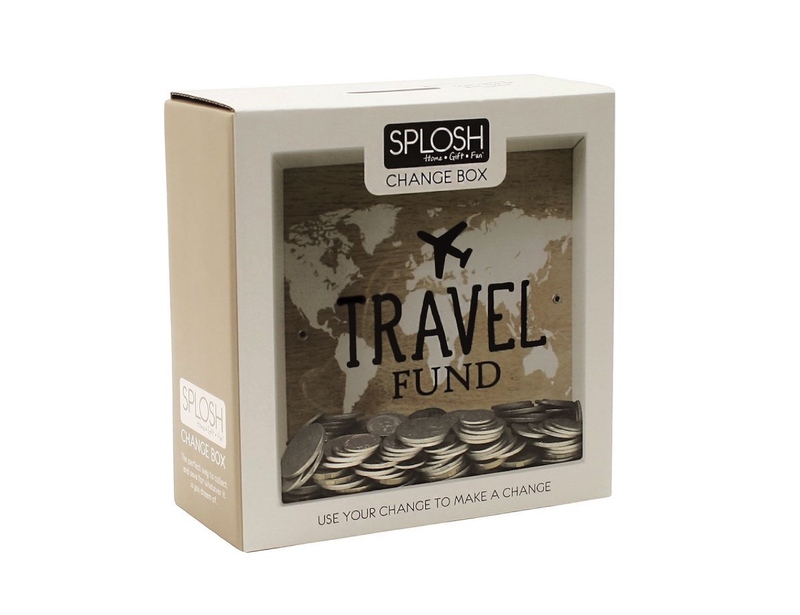 Build up your savings for your next adventure with the Spolsh Travel Fund Change Box. 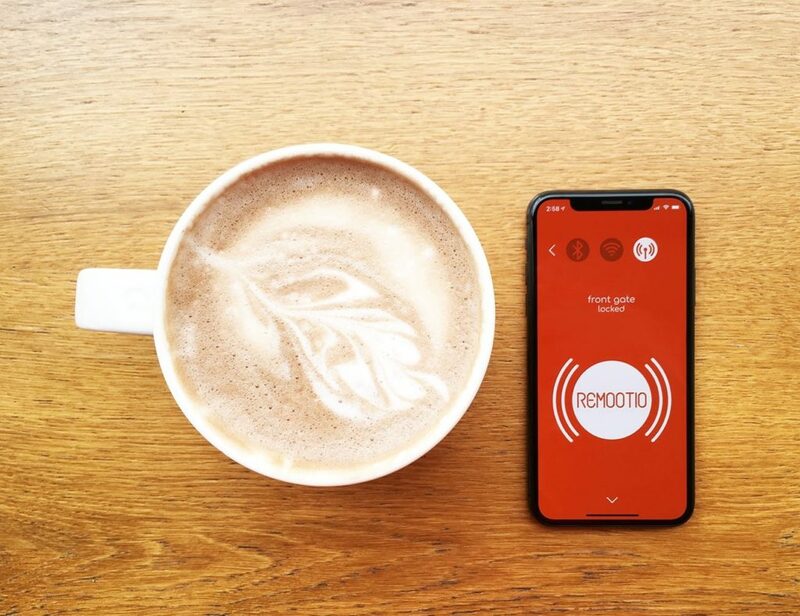 Featuring a clear glass panel in the front, you can watch your money grow with time. 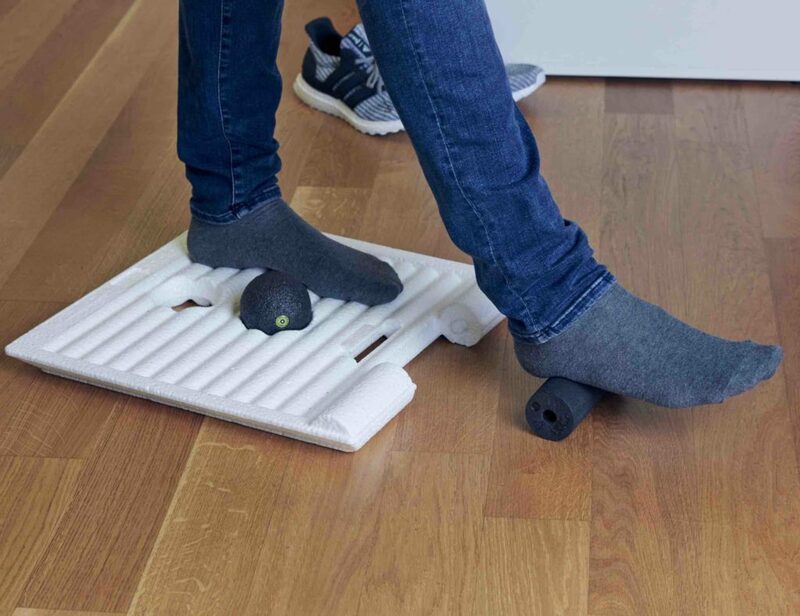 The top slot also makes it easy to insert coins. 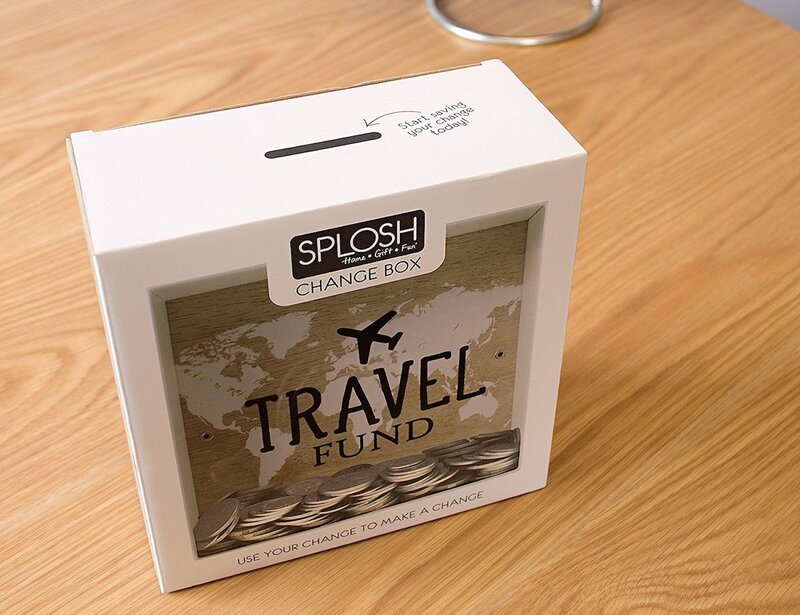 Made from solid white wood, the change box comes with a removable back. 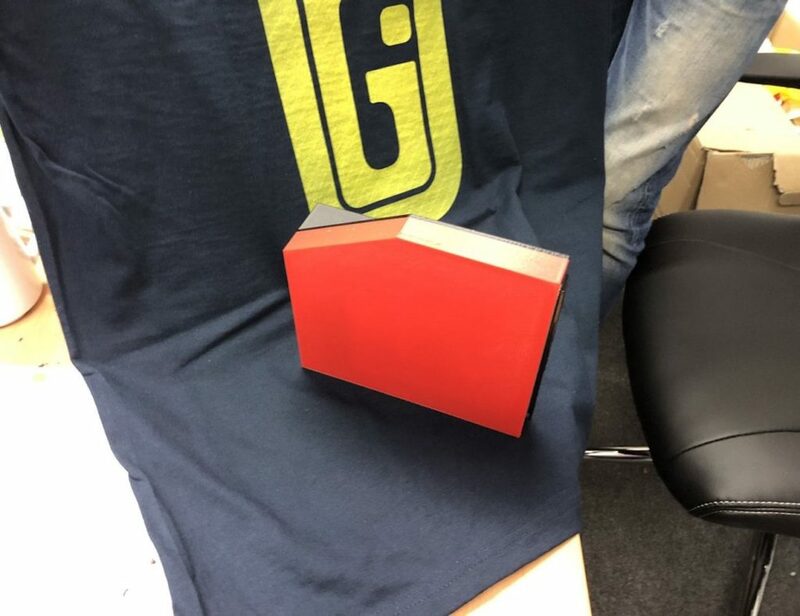 This allows you to gather your savings once the box is full to start saving even more. 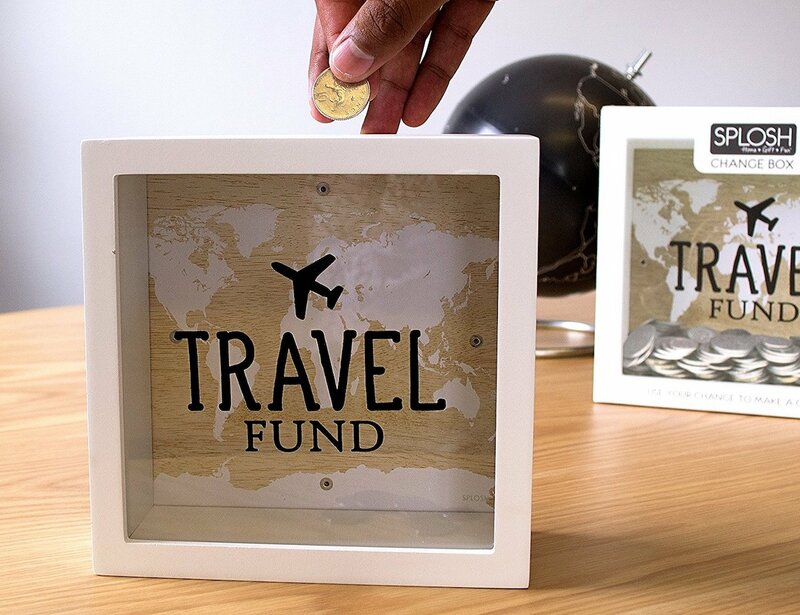 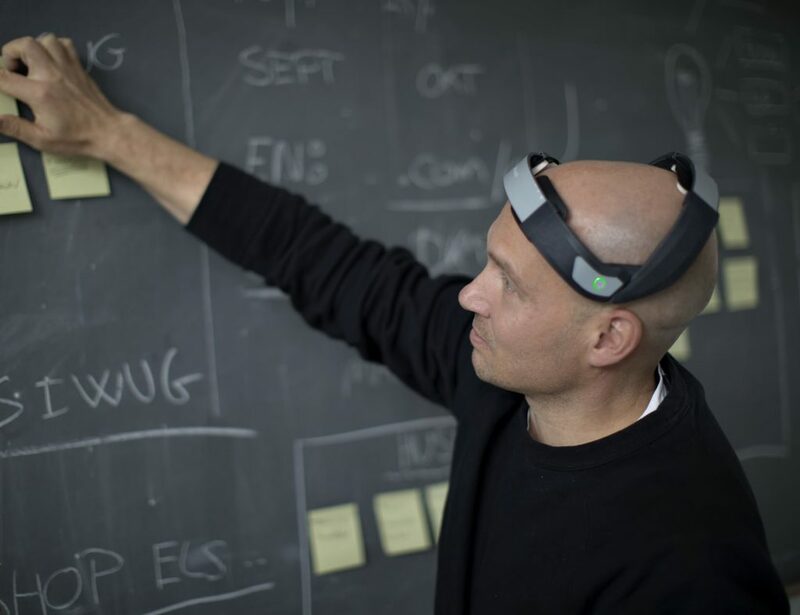 You can also clearly see the words Travel Fund through the glass, giving you extra motivation to get rid of your loose change. 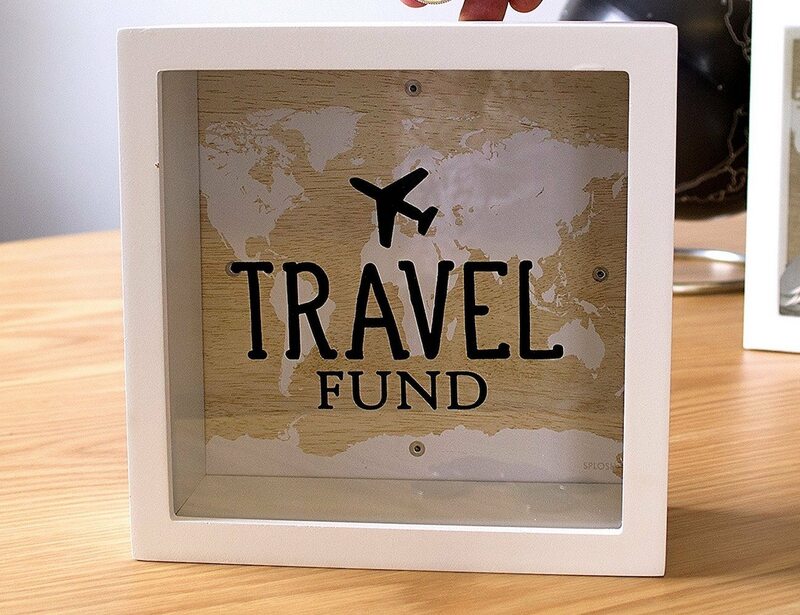 With a size of 7 x 7 x 3 inches, the Travel Fund box is small enough to sit on any counter or table. 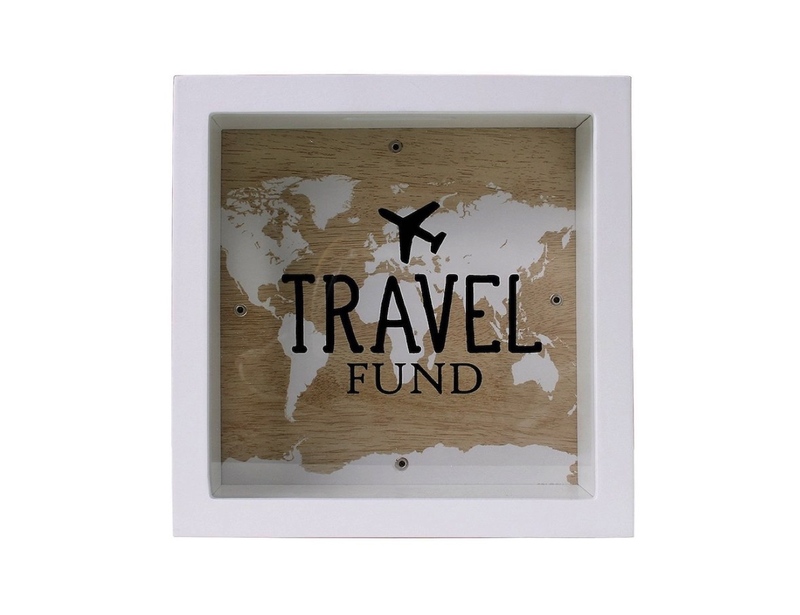 It also comes in a gift box, making it an ideal present for your globe-trotting friends.